We are often asked, “What are the best barcode labels for my manufacturing operations?” Before our label experts recommend the right labels, we ask questions about how the labels will be used, where the labeled items will be stored, to which surface they will be attached, and the size of the labeling area. As you know, every environment has different requirements. However, for common manufacturing applications, most companies consistently use certain print technologies, label materials, and adhesives. 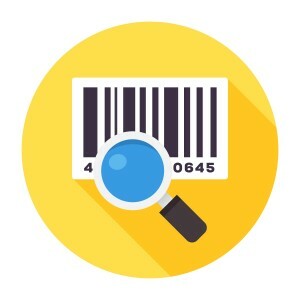 What are the best barcode labels for inventory? WIP? Shipping? Should I use direct thermal or thermal transfer, paper or synthetic? We’ve taken the guesswork out for you with our list of common manufacturing applications and labels. Before reviewing the list of common manufacturing applications and labels, let’s take a moment to go over the basics. Thermal printing is primarily used for barcode labels. There are two types of thermal print technology. Direct thermal (DT) – Sensitive to light and heat, direct thermal labels are primarily used for items with a short life span. Thermal transfer (TT) – Durable and chemical-resistant, thermal transfer barcode labels work well for items with a longer shelf life. Labels made out of synthetics are durable and long-lasting. They resist abrasion, moisture, and chemicals. These material types—also known as facestocks— are mainly used to manufacture barcode labels. Paper – Paper labels are primarily used for direct thermal printing. They work best for general-purpose applications, shipping labels, inventory labeling, and work-in-process (WIP). Synthetic – Labels made out of synthetics are mostly used for thermal transfer printing. Durable and long-lasting, they resist abrasion, moisture, and chemicals. This makes them ideal for harsh industrial conditions and items used outdoors. These materials are most commonly used for synthetic labels. Polyolefin – This corona-treated material provides flexibility for labeling curved or rough surfaces. Polypropylene – This high-quality material resists scratches, smears, and chemicals. Polyester – This material provides outstanding print quality and unparalleled smear, scratch, and chemical resistance. Polyimide – This material withstands high temperatures up to 500°. Long-life acrylic – This material is best for long-term outdoor use. There are several types of labels to meet a wide variety of needs. Stock – Stock labels are commonly used for a vast majority of applications. Specialty – Specialty labels are a type of stock label designed for less-common applications. Custom – Custom labels are specially ordered to fit specific printing needs. Preprinted – Preprinted labels are a type of custom label to which you can add colors, logos, text, and graphics. You can purchase labels that are fully printed or partially printed to add variable information in-house. Inventory control, label design, and asset tracking systems use barcode labels to optimize manufacturing operations. Barcode label – This software enables you to design, create, and print labels that comply with industry, federal, and international regulations. Inventory management – This software automates the data collection process by identifying and tracking inventory such as raw materials and parts used by manufacturers to assemble products. Asset tracking – This software automates the tracking of depreciable assets such as computers, office furniture, vehicles, and equipment. The tables below list the best paper and synthetic barcode labels for applications commonly used by manufacturers. Have questions about the best barcode labels to use for your unique labeling needs? Consult with a System ID label expert before purchasing labels. Doing so will prevent you from wasting time and money on products that won’t work.